It uses a capacitive humidity sensor and a thermistor to measure the surrounding air, and spits out a digital signal on the data pin (no analog input pins needed). Its fairly simple to use, but requires careful timing to grab data. The only real downside of this sensor is you can only get new data from it once every 2 seconds, so when using our library, sensor readings can be up to 2 seconds old. Simply connect the first pin on the left to 3-5V power, the second pin to your data input pin and the right most pin to ground. Although it uses a single-wire to send data it is not Dallas One Wire compatible! 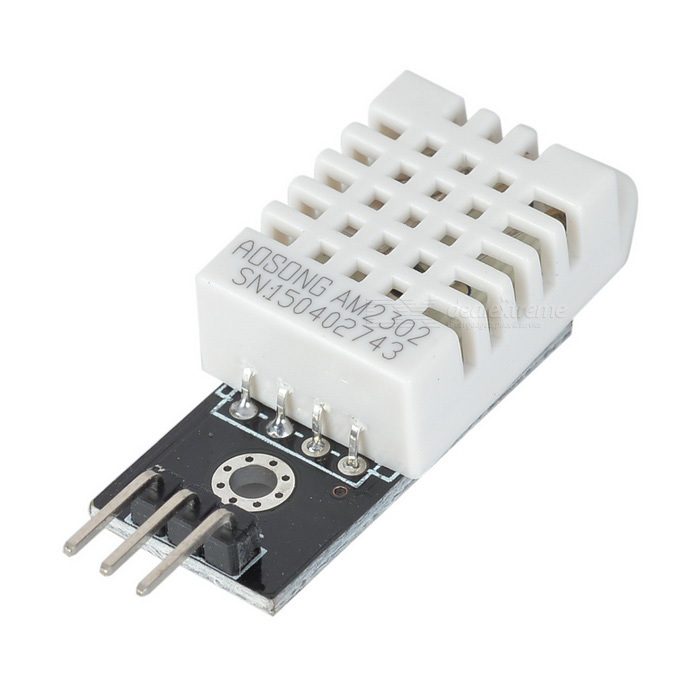 Comes with a 4.7K – 10K resistor, which you will want to use as a pullup from the data pin to VCC.